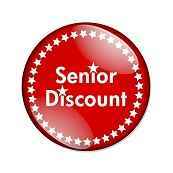 10% Senior Counseling Discount for our Private Pay Seniors! At Heartland Counseling Center, we value and respect all Seniors. As a token of our appreciation for all your contributions to the community, we want to say “Thank You” by offering a 10% Senior Counseling Discount for our Private Pay counseling clients 55 years and older. *This discount is for our Senior clients only and cannot be redeemed for friends, family members, or anyone else other than our Senior counseling clients. To redeem, simply inform the receptionist of your age and birth date when scheduling your first counseling session. Current ID with birth date must be provided at the first appointment. *Due to restrictions placed on our services by Managed Care and various insurance companies, we are only able to offer this Senior Counseling Discount for Private Pay Seniors. We apologize for this in advance but unfortunately it is out of our control. If you’re a Senior with private health insurance, we would still appreciate your business and look forward to providing you with the best counseling experience the area has to offer.